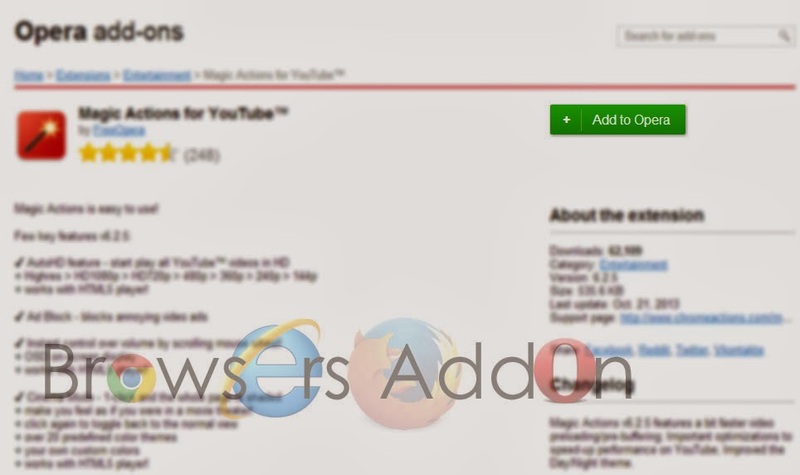 Add Some Visual Features to your YouTube in Opera with Magic Actions Extension. Magic Actions for YouTube is an add-on for Opera which adds some visual features help in viewing YouTube better. It has some interesting features like the ability to watch videos in HD, Full HD and Ultra HD 4K automatically, watching videos in a cinematic mode with custom background and helps control volume with scroll button. 1. 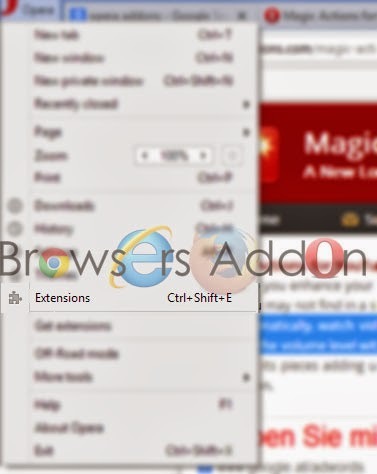 Go to Magic Actions for YouTube Opera add-ons page, or simply click on the above download link and click on “Add to Opera“. 2. On successful installation, “+ Add to Opera” turns to “✓ Installed ” and you will be directed to First Run / Preference page. 1. 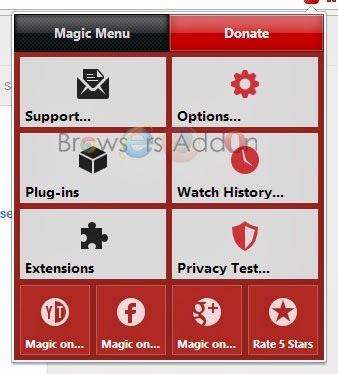 On successful install, you will be directed to Magic Action’s home page. 2. You will notice these two major things when you visit YouTube with this extension. 3. Click on the Magic Action’s which is inside the URL bar to open Magic Actions for YouTube options. 4. Click on the flip switch to change the theme of the YouTube to black and vice-versa. 5. Click any where in the browser to expand or open the cinematic view. 6. You can play with Magic Action’s features from here. 1. To Disable/Remove this extension, click (LMB) on the Opera which at top left side of the browsers or press “Ctrl”+”Shift”+”E” to go to Opera’s Extension. 2. Search for desired tab, click on “Disable” to disable and “X” to remove the extension from the opera browser. Mozilla Firefox users to get more grip on security in upcoming update. Amazon shopping made convenient with Amazon 1Button app for Chrome. Get custom alerts with Tab Badge for Mozilla Firefox. Next story What are Browser Cookies ? How to Manage it in Mozilla Firefox. Previous story Get Back RSS Subscription Button Inside Chrome URL Bar. Momentum, A New Tab Page with Difference for Google Chrome. Firefox to Test its New Revenue Model, Suggested Tiles, Starting Next Week. One click auto language translation with gTranslate addon for Mozilla Firefox. How To: Master/Factory Reset your Mozilla Firefox Browser. Browsers Addon © 2019. All Rights Reserved. and make sure you verify it via email.